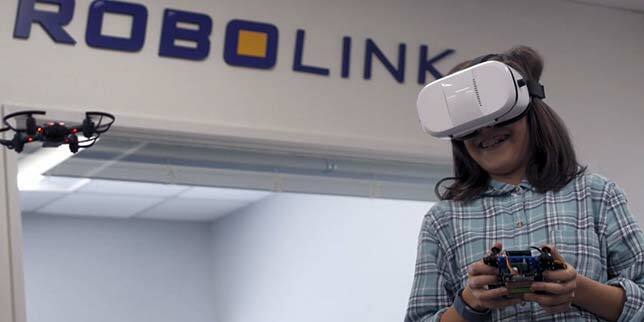 An educational robotics company is expanding its curriculum service to include new lesson plans for using drones and a robotic arm. RobotLAB produces Engage! K12, an online learning service for K-12, with digital courses and hands-on activities to help educators use robots in the classroom for teaching programming, math, English language arts and other STEM-related subjects. The service supports multiple types of robots and, according to the company, adheres to learning standards, including Common Core and the Next Generation Science Standards. The software interface lets teachers set up an online classroom, invite students and engage them in activities that can be filtered by grade, subject and learning standard. A dashboard feature allows them to track student achievements and measure learning outcomes. The lessons for drone usage can be used with any quadcopters. For grades 4-7 the 10-lesson set covers loops, conditionals, variables and other computer science topics as well as drone operations; for grades 6-12, the kit includes nine lessons, covering quadratics and proportionality. The entire curriculum is also included with the company's classroom pack, which comes with 10 CoDrone Lite drones and related accessories for $1,990. Or the entire catalog of the company's teaching resources can be licensed by the site, 400 students for $690 or a site license for $4,200. However, the site also allows for "free" account owners to gain access to a limited number of free lessons, primarily related to the introductory lessons for using specific robotics products sold through RobotLAB. 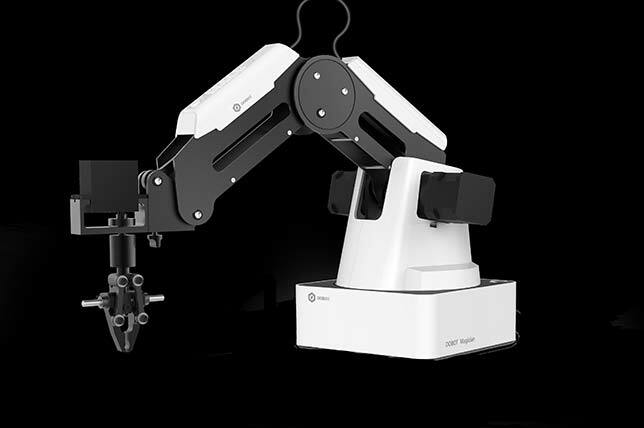 The new lessons for the DoBot Robotic Arm cover the use of five different attachments that come with the DoBot Advanced Educational Pack: a gripper, vacuum pump kit, a 3D printing head, a laser engraver and a drawing tool. They include 50 instructional hours in computer science, engineering, collaborative problem solving and creative thinking with units in programming, mechanics, electronics and automation. Programming can be done with Blockly, a graphical tool for beginning coders, or with Python, Java, C# and C++.